((The price includes setup and breakdown)). 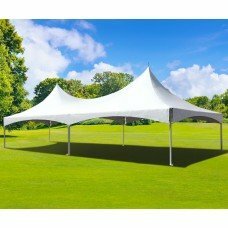 This tall vinyl structure will wow your guests with a 15 foot tall center and 800 square feet area of usable space and is the perfect tent for any occasion, from backyard barbecues to corporate events and weddings. This fire retardant vinyl-top tent is very solid with a wind rating to support up to 70MPH winds. 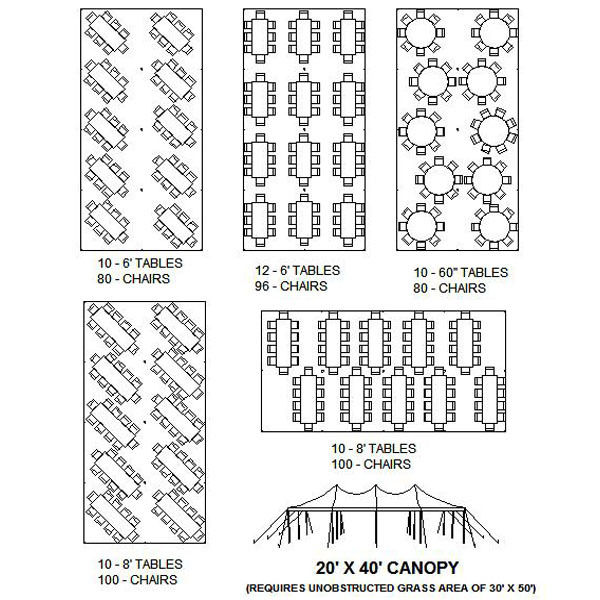 The leg height is 8ft and a center height of 15-16ft giving the tall ceiling a more spacious feel within the tent.